With over 35 years of experience in dentistry, specifically the prosthodontics specialty, Dr. Rubinoff has mastered the dental bridge procedure. It is a procedure, where your missing tooth is replaced by an artificial set of teeth. Dental Bridges are a set of three or more dental crowns held together, which get placed onto the neighboring teeth of your missing tooth. The way it works is that the teeth on both sides of the gap get carved out and adjusted, so that the teeth on both ends of the dental bridge fit onto them perfectly. 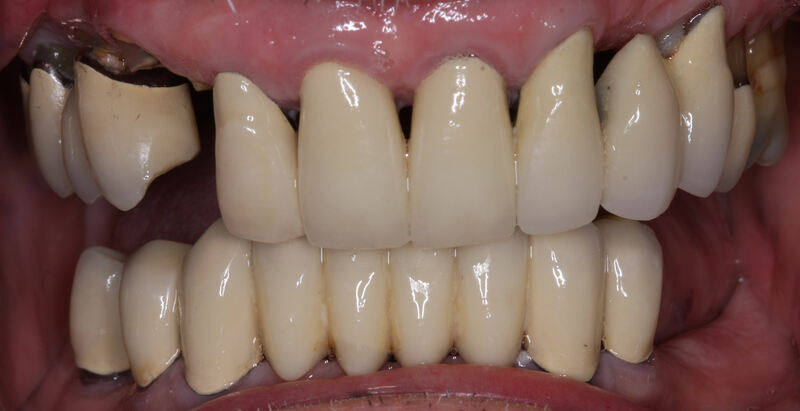 The bridge covers the adjusted teeth, as well as the missing tooth/teeth in between them, filling the gap and leaving you with a full set of natural-looking beautiful teeth. 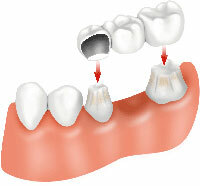 Dental Bridges are conventional, cost-effective solutions for the replacement of missing teeth. They are strong and durable dental restorations, which makes them function exactly like your natural teeth. Their color, shape and size are matched to your natural teeth, making them look and feel like your own rooted teeth. Other than the functional and the health benefits of restoring your smile, the aesthetic benefits will make a huge difference in your self-esteem and self-confidence, enhancing both, your personal and professional relationships. Dr, Rubinoff will discuss all your prosthodontic treatment options with you and recommend the most medically and financially suitable plan for you. For prosthodontic emergencies, please call Dr. Rubinoff at 416-838-1622 or email him at drmorleyrubinoff@bell.net.